John Mayer performed at his first concert in nearly two years, a fundraiser he helped organize to benefit firefighters that helped save his home and others from a Montana wildfire. 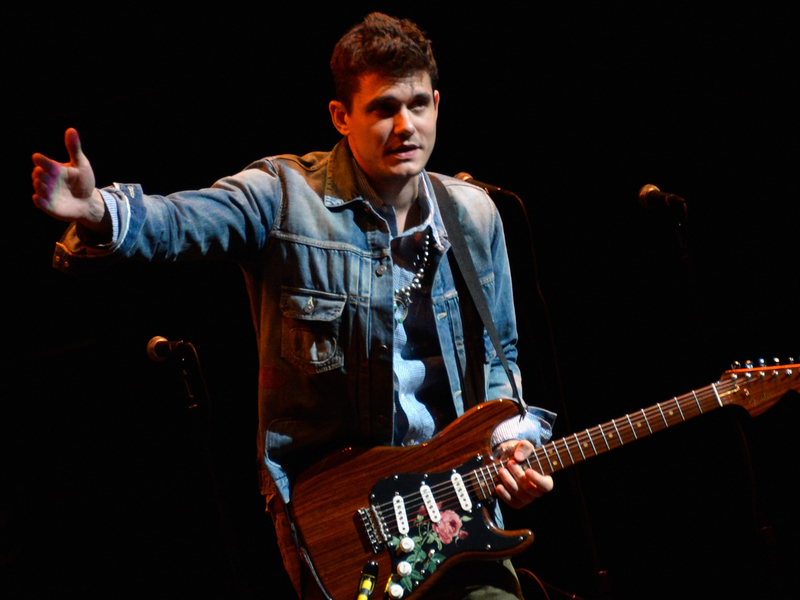 Mayer has been sidelined from singing after facing issues with his vocal cords. "It's been a crazy couple of years...going on bed rest, going a little mad," Mayer told the crowd. The Bozeman Daily Chronicle reported that Mayer started with his first live performance of "If I Ever Get Around to Living," at a concert in Bozeman on Wednesday that included Zac Brown and raised more than $100,000. The fire raged in late August near Livingston, while Mayer was in Los Angeles receiving treatment for a growth near his vocal cords. In May, a second granuloma was removed. The singer-songwriter says Botox injections used to keep his vocal cords from pressing together while they heal have limited his ability to hit high notes. Mayer has hit the stage over the past year or so to play guitar. Last fall, for example, he performed at a tribute to the late Levon Helm in East Rutherford, N.J. But now that his vocal cords are back in working order, Mayer, 35, plans to get back in to singing as well and has already booked a spot at the New Orleans Jazz & Heritage Festival this spring.